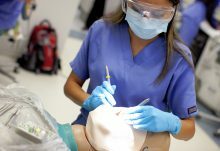 The College of Dentistry Student Dental Simulation Laboratory is used for a wide variety of predoctoral, advanced and graduate education, and continuing dental education activities. Beginning dental students practice many of the psychomotor skills required in dentistry performing procedures on simulated manikin patients prior to performing these procedures in clinical patient care. 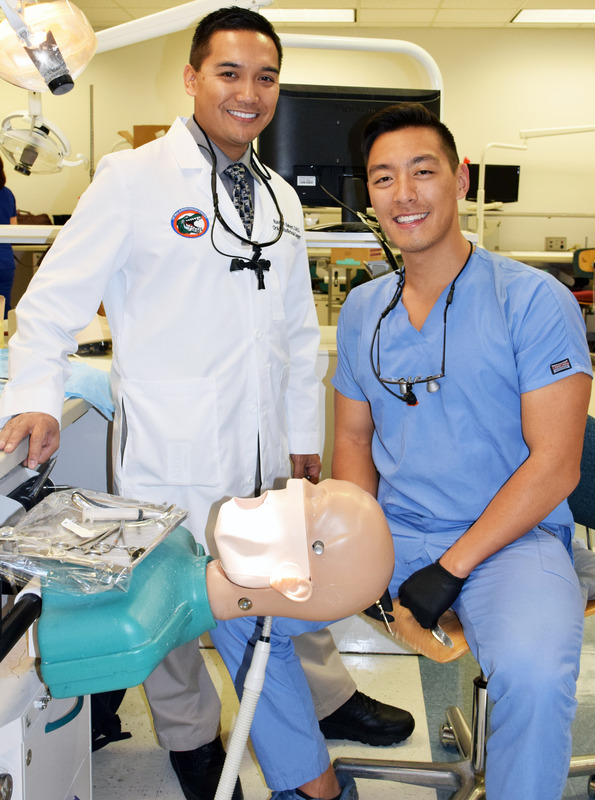 Advanced dental students take courses in implant dentistry, electives and practice their skills in preparation for state dental licensure examinations. Practicing dentists acquire and practice new skills in hands-on courses provided by UFCD’s continuing dental education office. Selected portions of the Florida State Board Exams conducted in the Simulation Lab throughout the year. Some sessions are exclusively for UFCD students and others host those from across the state and the nation seeking Florida licensure in the State of Florida. The Simulation Lab opened in February 1999. In December 2009, audiovisual upgrades brought the equipment up to the leading edge of technology. The facility was expanded to 97 stations in 2013. Wi-Fi capabilities have been continually upgraded in this space to provide reliable and fast internet connectivity. The wet laboratory has been adapted for digital dentistry with the addition of two online milling units, a sintering oven, multiple dedicated laptops and intraoral scanners and educational software affording UFCD dental students first class preclinical and clinical digital dentistry educational experiences. Currently, the UF Dental Simulation Lab is the first fully-digital high-definition system of its kind. In 2018 the Simulation Lab audiovisual components were enhanced and upgraded to continue to bring UFCD students the best in dental simulation education.